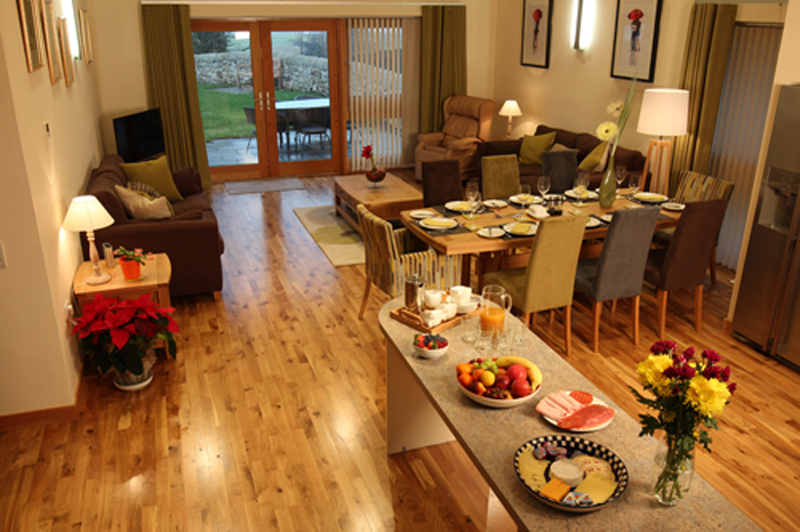 Lundin Links based charity, Homelands Trust-Fife (SC027281), would like to welcome guests to their purpose-built, fully accessible self-catering lodges and drop-in centre. The Homelands estate has four wheelchair-accessible lodges, specifically designed to meet the needs of people with a range of disabilities and long-term health conditions. Specialist disability equipment, such as ceiling tracking hoists, profiling beds, clos-o-mat toilet and riser/recliner chairs are provided to ensure all visitors’ needs are met and the dream of a family holiday can be achieved. The buildings are architecturally stunning and luxuriously furnished. Homelands has an extremely welcoming environment for people with disabilities, as well as their carers, friends and family members. Three of the lodges can sleep four people (six with a sofa bed) and the fourth can sleep up to eight people. Guests staying at the lodges will not only have easy access to Fife’s stunning coastline and various holiday activities; they are also able to use the drop-in centre (The Paxton Centre), just a few yards away. The Paxton Centre is open to guests and day visitors alike, providing a wide range of group and individual activities. There are a variety of alternative therapies, counseling, exercise classes and health walks on offer in addition to various other activities and one off events. The Paxton Centre is also a place to chat, gain information or just relax with a cuppa. Only a few minutes walk from the Largo Bay award winning beach and Fife Coastal Path. Please call if you need any further information or would like to book call Homelands on 01333 329 039 or visit our website www.homelands-fife.co.uk.